Today, through investment in technology and highly skilled engineering staff, Vulcanite has positioned itself as a provider of flexible engineering solutions to major companies around the world. Vulcanite is ISO 9001 certified, with a comprehensive range of engineered rubber products, which we export globally. We have combined our decades of experience in rubber parts manufacture with the versatility of advanced design and development tools to create a range of products. Vulcanite’s products provide innovative and effective solutions in virtually all industrial applications. Our electronic products guide can help you to select the product that is right for your application. If you cannot locate a product, we can offer our technical expertise and experience to solve complex problems and offer tailored solutions to your specific needs. Vulcanite design’s, manufactures and supplies critical suspension components for heavy & light passenger vehicles, locomotives and track maintenance vehicles. Vulcanite designs and manufactures elastomers which are used to isolate damaging mechanical vibrations in a range of construction & piling equipment. 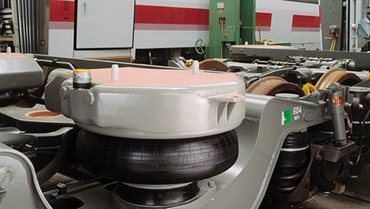 Vulcanite designs and manufactures elastomers used to isolate damaging mechanical vibrations in a range of industrial, mining and materials handling equipment. Vulcanite manufactures a limited number of components for use in marine applications including dock fenders, floating dock hinges, ship lifting pads and more.